VMware has made available for download a poster titled:”VMware vSphere 5 Memory Management and Monitoring diagram“. 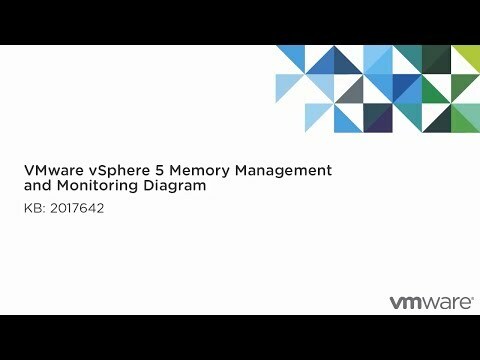 The VMware vSphere 5 Memory Management and Monitoring diagram provides a comprehensive look into the ESXi memory management mechanisms and reclamation methods. This diagram also provides the relevant monitoring components in vCenter Server and the troubleshooting tools like ESXTOP. On the page where the diagram can be downloaded, VMware also placed a video detailing how which shows how ESXTOP can be used to find the different memory metrics.